Vienna CC’s curry night kicked off with drinks at The Duke on Burggasse and then curry at the Moghulhof just over the road. Some of the group then adjourned for drinks at The Lizard just down the street. Champions in Seebarn at last! 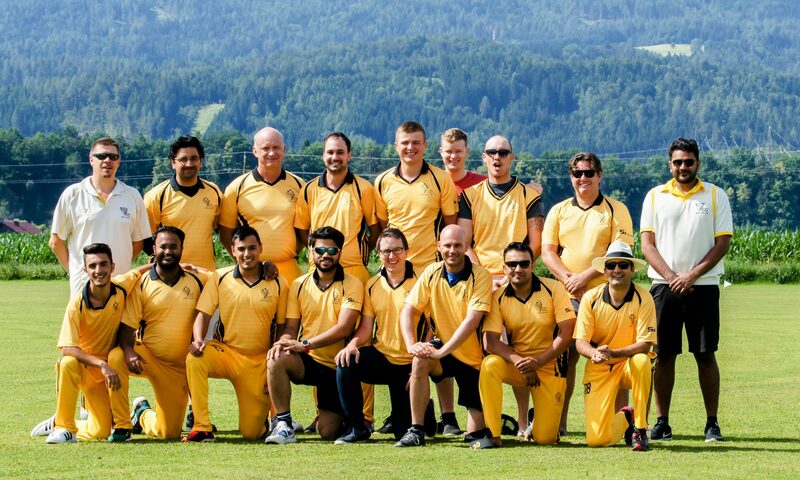 After two decades as the home of cricket in Austria and home to Vienna CC, Vienna CC finally managed to win Austria’s ACA Open League, with victory over Pakistan CC in the final. After so many near misses down the years – from seasons where we fell in the semi-final after brushing all opponents away with ease in the preliminary round, or being caught tantalisingly close the title, 2015 was the year the luck changed, and Vienna CC were able to celebrate a third Open League Title, the first since 2004, and also a maiden Open League title in Seebarn. The club’s only previous trophy win at Seebarn had been in the old ACA Trophy – played as a 40 over straight knock-out – in 2000.